Halotherapy is a 100% drug free, non-invasive, comfortable treatment without side effects. Halotherapy, also known as salt therapy, is a unique holistic wellness method that offers relief from symptoms related to various respiratory conditions and skin problems. 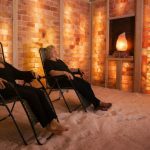 At Himalayan Hideaway Salt Cave, we have seen the results that halotherapy can provide, and are excited to share this unique micro-climate experience with you in the Triad. Himalayan Hideaway guests enjoy a 45-minute session where they breathe a fine salt aerosol into the lungs, sinuses, and nasal cavity. The inhaled salt particles dissolve bacteria and pollutants and act as an anti-bacterial agent. Halotherapy is also suitable for children, who may even respond more quickly to treatment than adults. Clients who use salt therapy regularly will notice marked improvements in specific conditions and breathing. 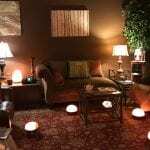 If you are interested in learning more about halotherapy or would like to visit us at Himalayan Hideaway Salt Cave in Winston-Salem, North Carolina, contact us today. We look forward to offering you a relaxing, restorative approach in holistic wellness.